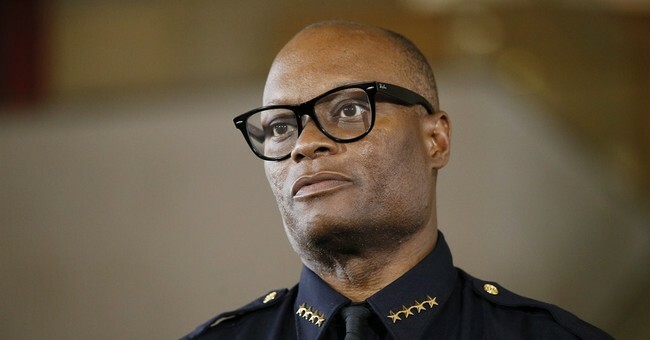 Dallas Police Chief David Brown has been through hell and he's handling it like only a true leader can. During a press conference Monday, Brown issued a challenge to Black Lives Matter protestors demanding change around policing in their communities: Join us and make a difference. "We're hiring," Brown said. "Get off that protest line and put an application in." "We’ll put you in your neighborhood, and we’ll help you resolve some of the problems you’re protesting about,” he continued. Brown grew up in the inner city and decided to become a police officer during the national crack cocaine epidemic. He saw a problem in his community and wanted to fix it. Decades later, he's in charge of one of the most successful police departments in the country.